Wendel Clark is a retired Canadian former ice hockey pro. Clark was captain of the NHL Toronto Maple Leafs of from 1991 to 1994. During this time, he was often referred to as “Captain Crunch,” as he played a very physical and intense style of hockey and wore a moustache similar to that of Cap’n Crunch. Wendel Clark is now employed by the Toronto Maple Leafs Hockey Club as a community ambassador and public relations. Clark can be seen at virtually all Leaf home games, usually with his wife Denise and children. PFP Sports & Celebrity Talent Agency is a top booking agent for motivational sports speakers and celebrities. 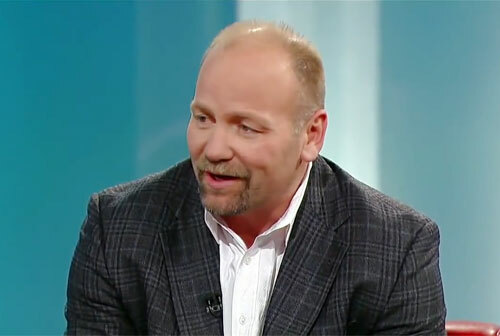 If you would like to book NHL stars like Wendel Clark for a speaking engagement, personal appearance or special event, you can request Wendel Clark agent and speaker information from PFP Sports & Celebrity Talent or call 800.966.1380.